Superstar Rajinikanth’s political entry is one of the most speculated topics. While his actor friend Kamal Haasan has announced his political entry, Thalaivar who has hinted about his political plunge has not officially revealed a clear stand yet. 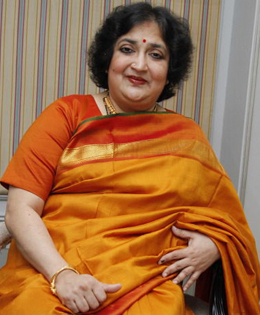 At an event on Tuesday, Latha Rajinikanth, wife of Rajinikanth, said that he will do only well for the people if he enters politics. Talking to media, she went on to add, “Only he can say when he is ready to make his political entry. But if he enters politics, he will do only good for the people”. She further added, "We will stand with him as a family." It was in May that Rajinikanth, disclosed that he was looking to turn into a double threat as superstar and politician. The 66-year-old has since made a series of cryptic references to his plans, asking fans to "ready for war" against what he described as a rotten and corrupt political ecosystem in Tamil Nadu, and ceding that he is in talks with different parties about his plans. The actor has met several BJP leaders in the past which lead to intense speculation about him joining the part. The actor had also given his support to BJP’s Clean India Campaign, further fuelling rumours that he might join the saffron party. However, there has been no official clarification from Rajini’s side. The speculations which had lasted years renewed when Rajinikanth had asked his fans to be ready for ‘war’.